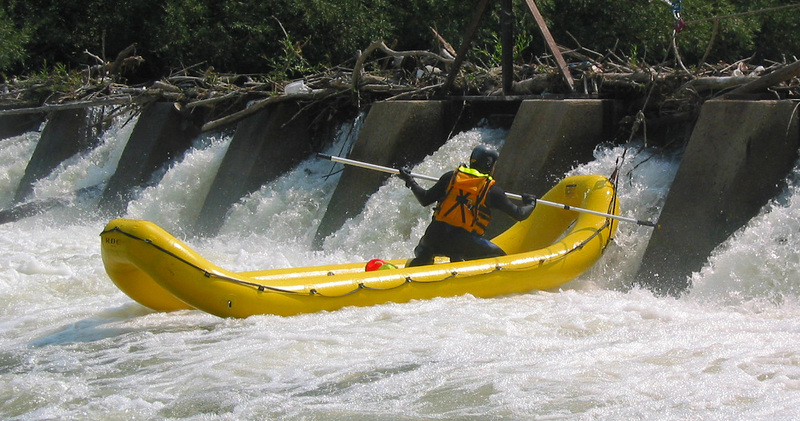 Easy to control, very stable and self righting ... the RDC is the best rescue boat in swiftwater situations. Swiftwater rescue is safe and sure with Oceanid's RDC Rapid Deployment Craft inflatable rescue raft. 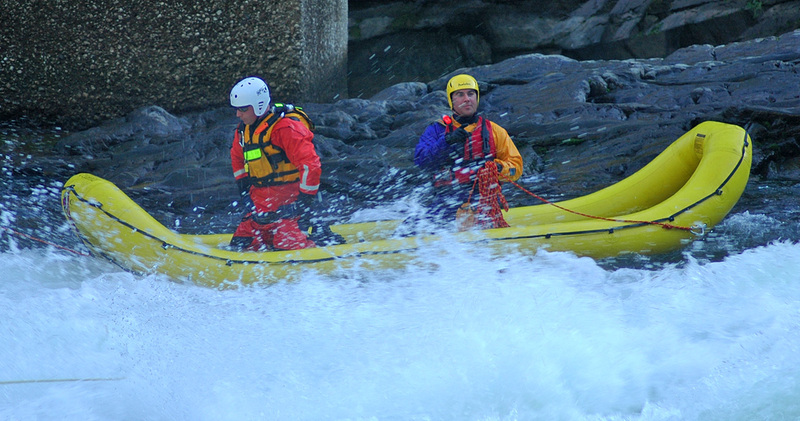 The RDC allows a rescuer or rescue team to quickly reach a victim and safely retrieve them in swift water, whitewater, floods or low head dam entrapment situations. The paddles and ferries like a canoe and is suitable for class or grade 5 whitewater. Where swiftwater rescue situations permit, the RDC can be shore controlled by tethers from one or two rescuers. Or, it can be easily paddled by one or two rescue technicians. Weights 50 pounds and can be easily carried by one person. Watch our demonstration videos to see how the open ends of the RDC allow a rescue technician to be positioned over the head and shoulders of a swift water victim to pull them into the RDC . 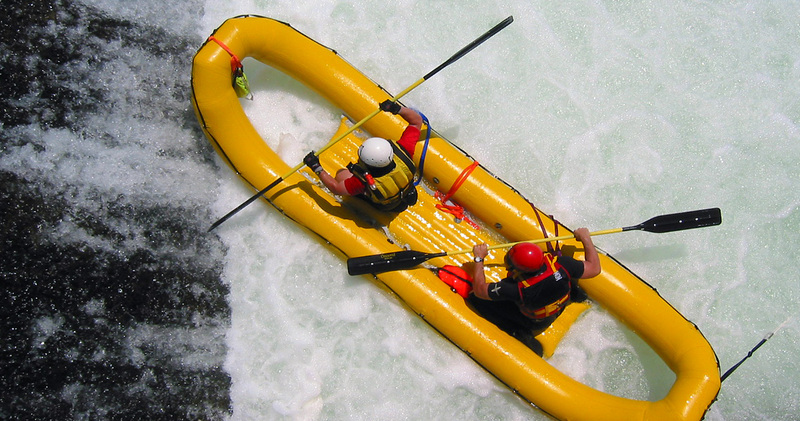 This swiftwater rescue technique avoids ever present and dangerous situations where the rescuer becomes the victim. The RDC should be part of your rescue responder kit for ice rescue situations. Contact us today for more information, a demonstration, pricing and how to place an order. Oceanid is a water rescue equipment design company. We take pride in our boats and design them to take the kind of punishment that many years of rescue and commercial usage will incur. We work closely with Fire, Sheriff and Search and Rescue organizations for ideas and prototype testing.